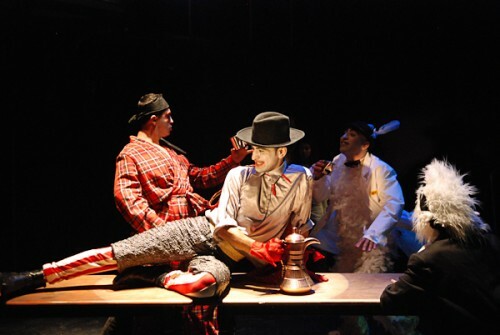 Onstage, Freddy Mercury’s “I Want to Break Free” blasts as the Mad Hatter leaps onto a table. Clad in tights and red leather, this curious Mad Hatter pulls Alice up for a decidedly un-Disney tango. Later the caterpillar dangles, upside down, from a silk scarf as he tells Alice that she must save Wonderland by marrying a man her father has chosen. 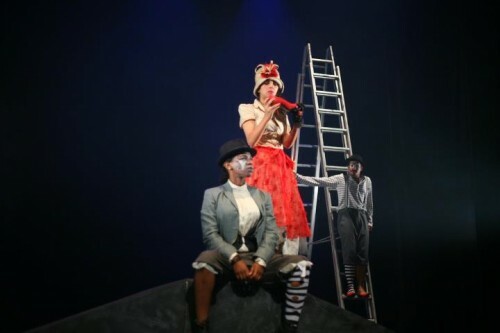 The Red Queen screams and sings, the stage revolves, and the captivated audience watches. After the curtain drops the director, Juliano Mer-Khamis, walks on stage to tumultuous applause, surrounded by the actors he has trained, supported, and loved. 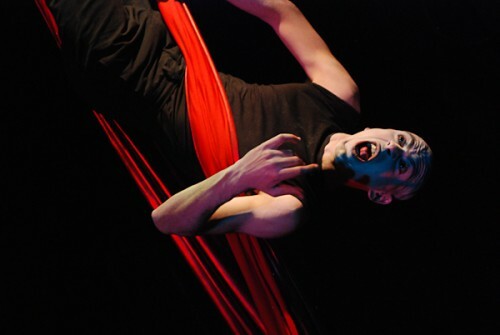 This risqué, polished production ran in January 2011. Where? A refugee camp in occupied Palestine called Jenin that, only a few years earlier, had been the site of a battle that killed more than fifty Palestinians and left 4,000 homeless. However, the production of Spring Awakening that Juliano and his students had planned was never completed. On April 4th, 2011 while leaving the theater with his one-year-old son and pregnant wife, Juliano was shot five times by a masked gunman. He was pronounced dead upon arrival at Jenin Hospital. The images and reports from Palestine that reach the United States testify that Palestine lacks water, medical assistance, schools, and economic opportunity. While many media outlets report that all of these things have become increasingly difficult to access in Palestine due to the Israeli government’s continual aggression and appropriation of resources, one effect of Israeli occupation, however, is neither visible in photographs, nor mentioned in brief news reports: The cultural occupation and repression of Palestine. The troubled history of The Freedom Theatre exemplifies this oppression. In 1987 Juliano’s mother created The Stone Theatre, a place for children to take part in drama therapy. In 2002 The Stone Theatre was bulldozed by the Israeli army. The Freedom Theatre was built in 2006 to take the place of The Stone Theatre, and since Juliano’s death, the building has been raided three times by Israeli military forces. 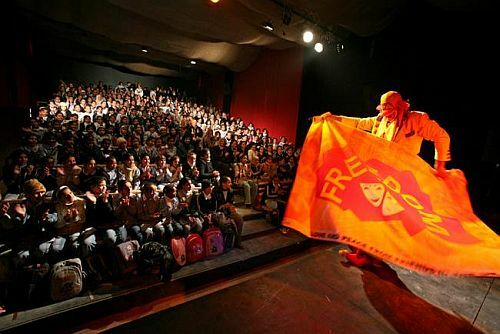 Most recently, on December 29th Zakaria Zubeidi, co-founder of the theatre, had his amnesty revoked by Israeli authorities and was incarcerated. The reason for the Israeli government’s animosity towards such a venue can probably be attributed in part to the call by some Palestinians, including Juliano, for a cultural resistance to physical and political oppression in all its forms. For Juliano the theatre was a substitute for violence, both personally and for his students. In the 1970s he served as a paratrooper for the Israeli army. However in 1978, while stationed in Jenin, Juliano was ordered to pull an elderly man out of a car. He refused to touch the old man despite the continued, furious orders of his commander, and was arrested and discharged. After this, Juliano turned to acting and appeared in several major Israeli films including Salt of This Sea (2008) which was nominated for an Academy Award for Best Foreign Film. This was the end of Juliano’s support for Israeli occupation, and for a long time he worked solely as an actor. 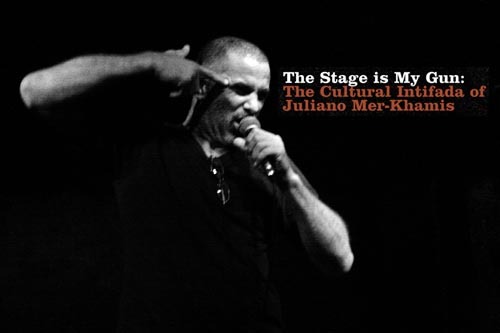 3 Comments on "The Stage is My Gun: The Cultural Intifada of Juliano Mer-Khamis"
Julaino Mer Khamis dedicated his life to truthful expression so I am so sorry that this article about his life and death has been turned into another anti-Israel propaganda piece. It does not even include the fact that he was in fact killed by Palestinian gun man. Juliano Mer Khamis is a name that I hope will not be forgotten, his work must go on.